Violet is the flower of magic + mystery. The entire universe is made of mystery and its magic is always ready to unfold. This mala is handmade using different varieties of the gemstone Amethyst. 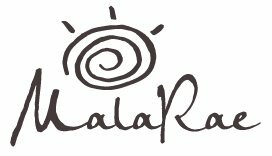 Mala no tassel – MalaRae is a unique mala company based in the Ottawa region, is your best choice. A beautiful piece of art! I live the Violet Mala for its property, its “magic” but also because the colors vibrate with me. It makes me think about Spring bloom, freshly cut flowers, light breeze on your skin. I feel pretty and feminine wearing it.